In the manual setting of permissions, the desired permissions are directly configured for each record. Automatic processes and inheritance are not used in this case. Both the use of predefined rights and also the inheritance from organisational structures are based on the automated reuse of already granted permissions according to previously defined rules. 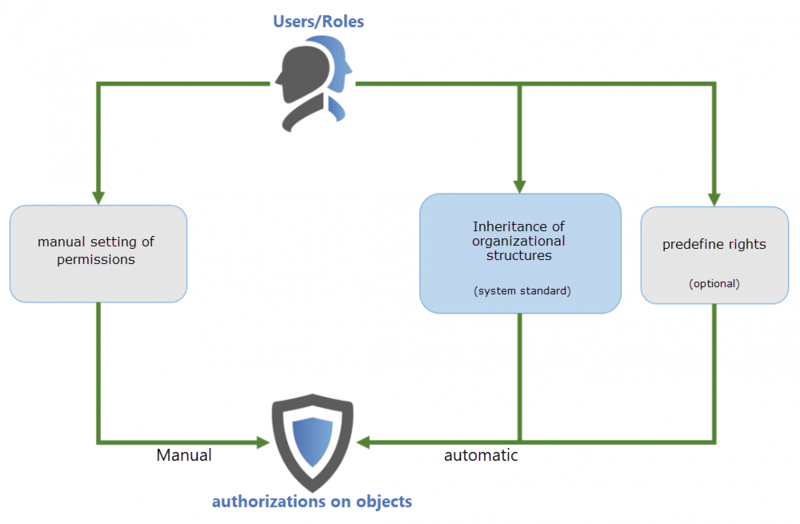 The following diagram deals with the question: How do users or roles receive the intended permissions?